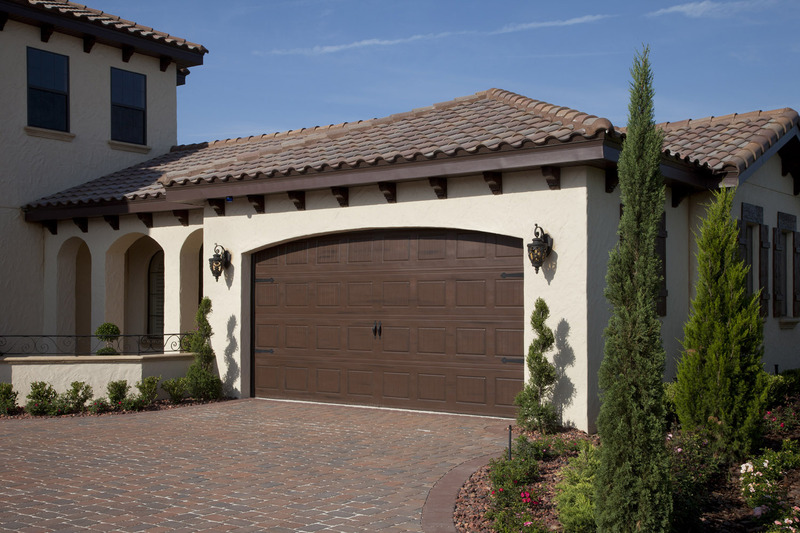 As a custom homebuilder, I’m always eager to pass on money-saving tips and products to my clients. I recently discovered a Smart Thermostat that can save you up to 20 percent on your annual energy bill and it’s affordable. It’s called Nest Learning Thermostat, an intuitive system that learns your temperature preferences and thermostat habits and then tweaks them for energy savings. Based on your usage, Nest devises a schedule and programs itself to run your home’s heating and cooling more efficiently. I’m installing Nest Learning Thermostats for a client who sees both their monetary and design value. The home is Mod-Mediterranean, a fusion of traditional and contemporary style, so the sleek design of Nest fits right in and looks great on the walls. According to the manufacturer, 89 percent of programmable thermostats waste energy, costing homeowners an extra $173 a year. Why? Because many homeowners find thermostats difficult to program or they simply don’t bother. It’s a known fact that the thermostat can be the biggest energy hog in a home. Replacing old, inefficient ones with Smart Thermostats can add up to significant savings. The Nest also encourages energy-saving habits with a “leaf” reward system. A leaf icon on the thermostat appears when the user does something that saves energy. 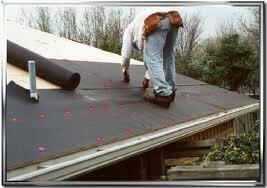 The homeowner can earn a leaf by adjusting the temperature for energy savings throughout the day. 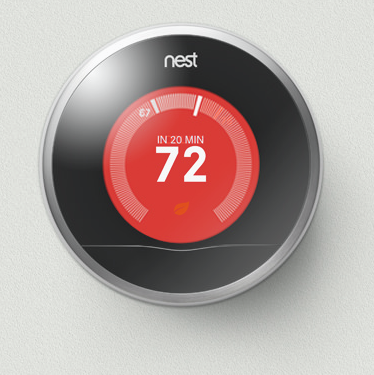 The Nest also comes with a mobile app for remote control of the thermostat from a smart device. 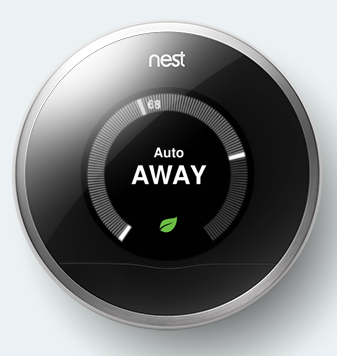 There’s also an “Auto-Away” mode that turns to an energy-savings temperature, when the homeowner is gone. For homeowners, Nest offers an affordable, easy-to-install option for upgrading thermostat intelligence in the home. The Nest retails for $249 a unit and $199 for the first installation and $25 for each additional installation. 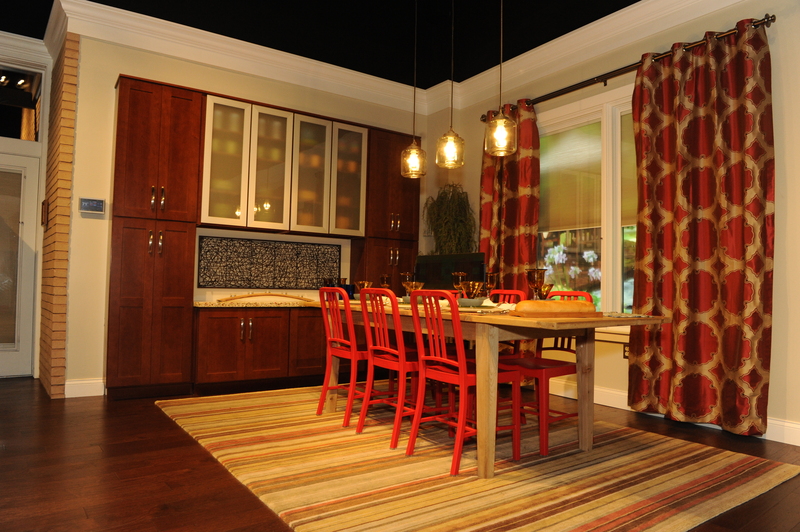 For more design ideas and money-saving tips, subscribe to my blog and video series. 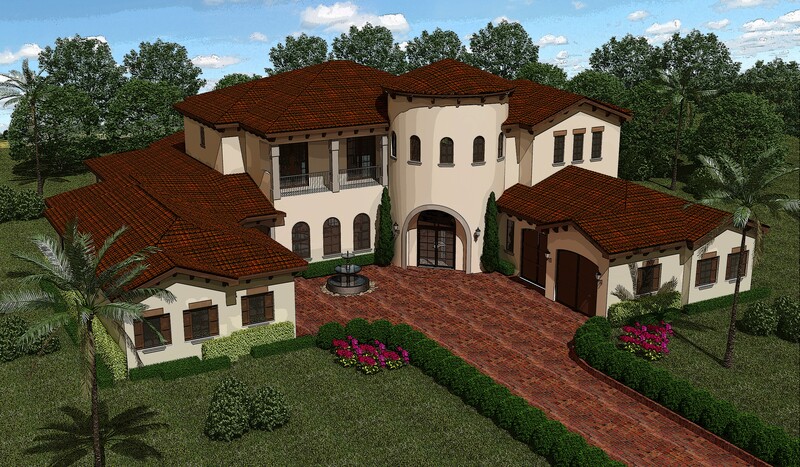 Although the housing market is slowly rebounding, Orlando Custom Builder Jorge Ulibarri says the tough economy is driving several trends in the new home market: the elimination of formal living spaces; unified interior and exterior space; clean, simple design and pools for entertainment and exercise, going green for energy savings. As a result of more cost-conscious design and construction, Jorge says consumers are moving away from ornate styles preferring a more eclectic look that showcases simple lines and clean design. “Clients want exterior design that has interesting movement and lines but without all the twists, turns and unusual spaces that overdone design creates,” says Jorge. Inside, clients want sleek fixtures, furniture and finishes that don’t overpower the architecture and bones of the home. Jorge says a style very popular with his clients is Mod-Mediterranean, a blend of Old World and contemporary elements. Clients want practical, functional space as opposed to the voluminous showy square footage of the past. As a result, the formal living room is disappearing from floorplans replaced by a grand family room. Jorge says some of his clients also are eliminating the formal dining room opting instead for a dining/breakfast nook area. For years, there were two popular choices for the pool: the Mediterranean theme defined by a quatrefoil design, water pots and pergolas or a lagoon-style pool with a kidney-shaped design, boulders and cascading waterfalls. Jorge says today’s pools are built for entertaining and exercise with clean lines and a stylishly sleek look. The pools are elongated so people can swim laps and have new social features such as swim up seating and water platforms for sunbathing. Some new pool designs flow into covered areas for shady relaxation. 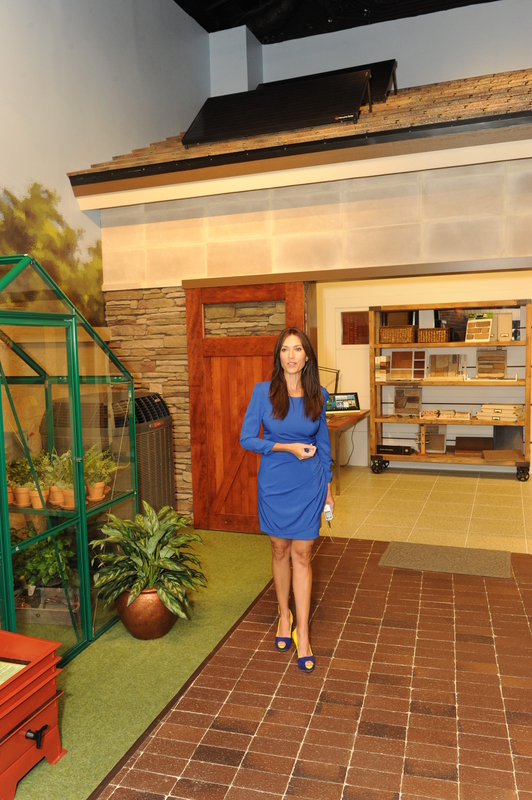 Recently, I had the opportunity to host VIP tours of Green Builder Media’s VISION House® at Disney’s Epcot Theme Park in Orlando, Florida. The idea behind this exhibit, created in collaboration with Disney Imagineers, is to showcase the latest innovations in green design and sustainable living. I discovered a few money-saving and environmentally friendly features that anyone can add affordably to Save Some Green by Living Green. Brick is a sustainable material that helps lower the utility bill because it holds in temperatures. Brick is made of clay and water so it’s environmentally safe, free of chemicals and pollutants. It’s durable, can carry heavy weight loads, fire resistant, and recyclable. As a bonus, old bricks make great architectural features when they are salvaged and reused in structures to add character. 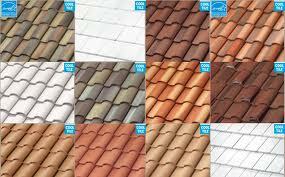 I was surprised to discover that roof tile can actually cut down on air pollution. 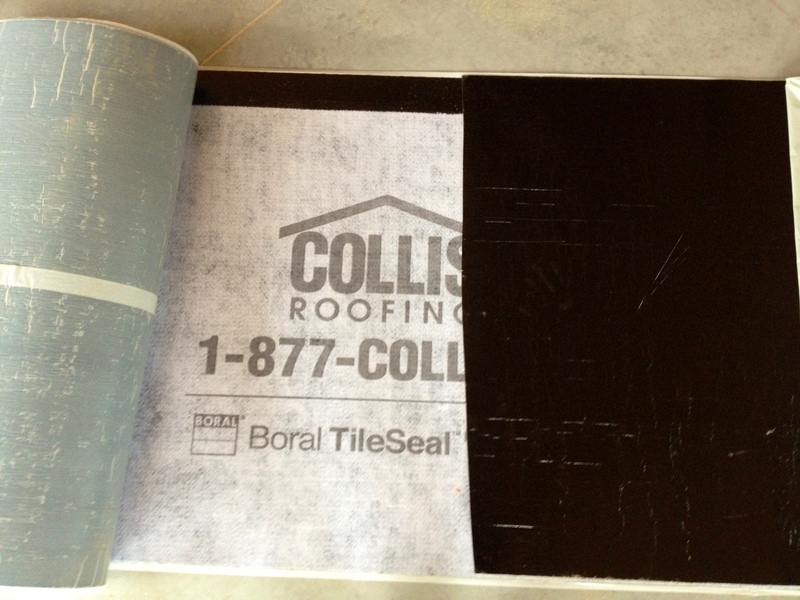 Boral manufactures the BoralPure Smog Eating Tile that reduces the formation of smog. 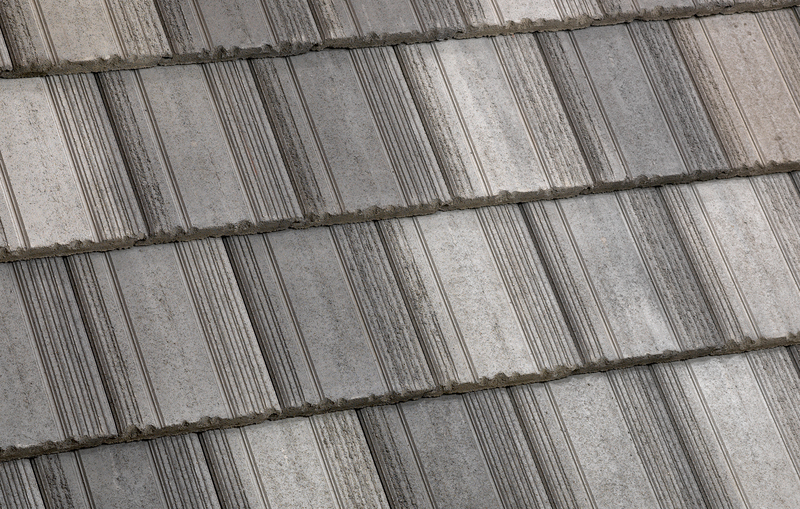 According to Boral, the roof tiles “eat” smog when exposed to sunlight by oxidizing pollutants and converting them into inert calcium nitrates that wash away with the next rainfall. According to U.S. Energy Department, ENERGY STAR-qualified LEDs (light-emitting diodes) use 75 percent less energy and last up to 25 times longer than other light bulbs. The movement of electrons through a semiconductor material illuminates LEDs. They can be integrated into all sorts of products to provide white and colored light, such as flashlights, light bulbs, and integrated light fixtures. Unlike incandescent or fluorescent bulbs, LEDs emit light in a specific direction, reducing the need for reflectors and diffusers that can trap light; they are ideal for recessed downlights and task lighting. Another cost-saving advantage, LEDs emit almost no heat whereas incandescent bulbs release 90% of their energy as heat and CFLs release about 80% of their energy as heat. The Vision House features LED lighting by Sylvania. “VOC” stands for Volatile Organic Compounds, which are chemical fumes released into the air. A common carrier of VOCs is the kitchen cabinet, which can contain formaldehyde used to bind the particleboard in cabinet’s interior boxes. The toxic chemical also shows up in cabinet stains and finishes. 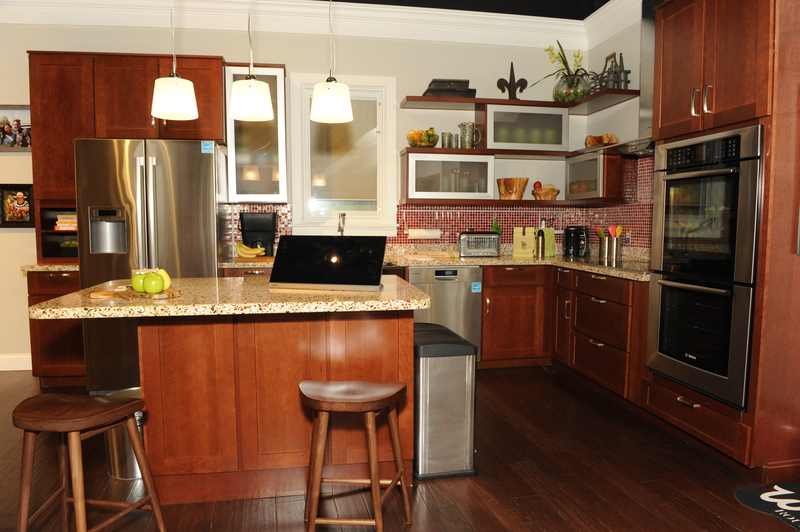 No or Low-VOC cabinets improve indoor air quality and reduce toxins because they don’t contain formaldehyde and other chemicals.The Vision House kitchen features Low-VOC cabinets from Armstrong World Industries. 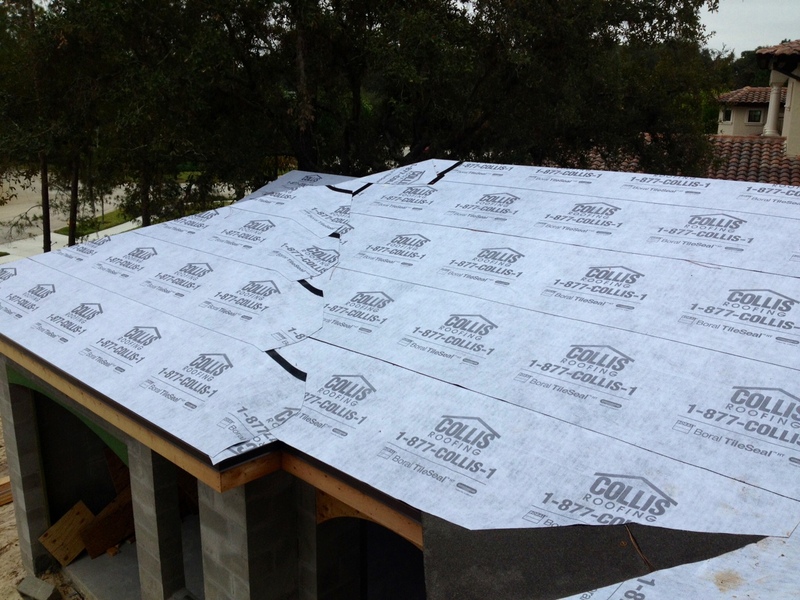 Home insulation is another potential source of VOCs. The insulation in Vision House is made of natural cotton fiber including denim clothing. The natural cotton fiber insulation has no VOCs, it’s mold and mildew resistant as well as fire retardant and completely safe to touch. A picture window into the wall in the family area provides a close up view of the insulation. Energy Star Qualified windows filter out damaging ultraviolet light and save on heating and cooling costs. The U.S. Energy Department estimates that upgrading to Energy Star Qualified windows can save approximately seven to 15 percent on a home’s energy bill. The windows in Vision House are by Pella and have three layers of glass with argon gas between the layers. Argon gas is denser than air and enhances insulation. Another creative idea that adds ambiance and enhances air quality and energy efficiency in a home is a green wall made of living, breathing plants. 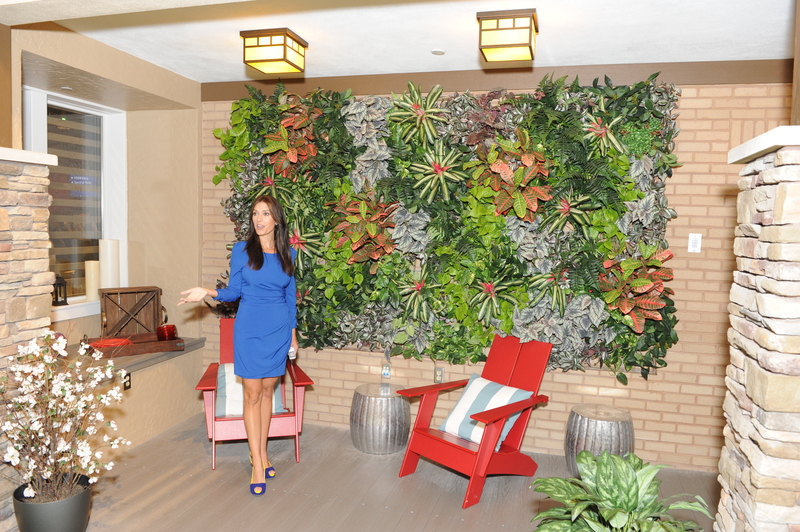 The Vision House features a green wall in the backyard that helps to regulate temperature, clean the air, and filter the water. It’s also a lush focal point in this backyard retreat. The entire Vision House is powered by Hanwha Solar photovoltaic modules on the house’s rooftop and a whole-home automation system (The Home Intelligence system) that can adjust the lighting and temperature in each separate zone throughout the house. 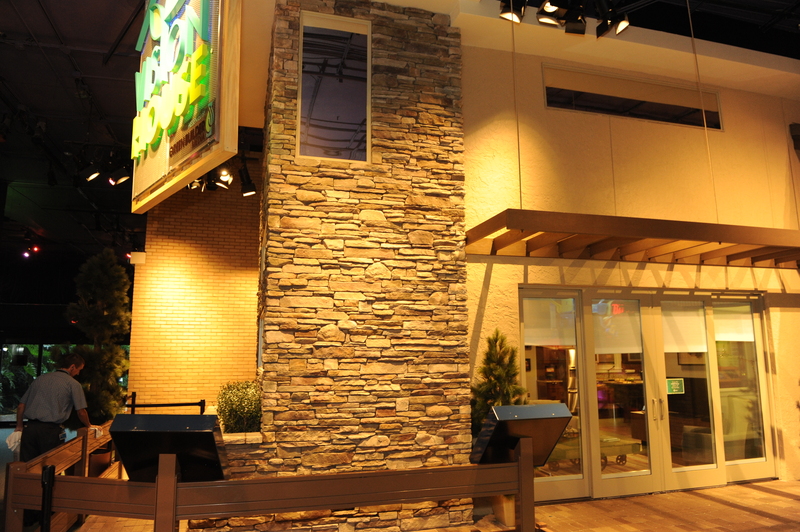 If you would like to check it out, Vision House is located in Epcot’s Innoventions Exhibit area. What are your money-saving and environmentally safe ideas for going green at home? Share your comments with our readers. I would love to hear from you.